T5 fixtures are very common as artificial lights because of their great features such as supreme light output, fairly small watt consumption, wide variety in different color temperature bulbs and uniform light. But when you have to choose your T5 light you probably will come across abbreviations HO and VHO. They mean High Output and Very High Output T5 fixtures, which both have advantages and disadvantages over one another. And you need to know all these pluses and minuses to each kind of bulbs before you make the decision of which ones you will ultimately purchase. HO – a high output bulb of this size will chew up 54 watts of electricity per hour. But for these watts the lumen output will be about 5,000 lumens. So calculating the lumen to watt ratio, that will give the best impression about the efficiency of HO bulbs. In this instance it is 92.6 lm/w. VHO – but a VHO bulb of the same size – 4 feet in length – will consume more watts – 95 watts to be exact – but the lumen output will be much higher too. One bulb will be able to give out 7,200 lumens. So calculating the lumen to watt ratio for this VHO bulb it would be 75.8 lm/w. So you can see here that the VHO bulbs are more efficient when it comes to lumen count. But they also consume more watts. Although overall lumen to watt ratio for the VHO bulbs are smaller than for HO bulbs. If you think about this difference in lumens and watts, then you probably are thinking about heat too, because heat can be big issue in smaller grow rooms. Comparing the heat emission of HO and VHO T5 lights I must say that it is quite similar. They both have very good heat footprint because the electricity in these bulbs is transformed into light not heat. Of course if you would do side by side comparison you would find that the VHO lights are a bit hotter to touch than the HO bulbs, but it isn’t that extreme, so you don’t need to be worried about the heat issue if you decide to buy the HO or the VHO bulbs. And if you need you can always install additional ventilation to help distribute the heat. A parameter that always has to be taken into consideration is the spectrum of the bulbs or their color temperature, because this determines what plants you will be putting under the light. The great thing about both of these bulbs – the HO and the VHO ones – is that they both have similar color spectrum output. 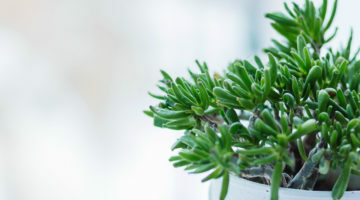 The most common color temperatures for HO and VHO bulbs are 6500 Kelvins and 3000 Kelvins that are used in the growth stages and flowering stages of plants life respectively. One area in which the VHO bulbs excel at is light penetration. 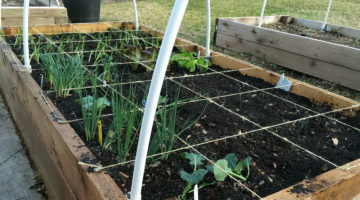 The very high output bulbs offer better light penetration which means that absolutely all leaves of your plant will receive necessary light. This deeper light penetration is mostly thanks to the bigger lumen output, because the more powerful the light is, the more it can give to each part of the plant. This doesn’t mean that the HO bulbs have bad light penetration, the VHO just have better, because they are more efficient and stronger. A big concern to a lot of grow light users is the lifespan of bulbs as well as of ballasts, because they tend to brake first in T5 fixtures. Here the HO lights are defiantly superior. Their bulbs as well as ballasts last much longer. If the bulb lifespan for HO lights are about 20,000 hours then it is shorter for the VHO ones. The same goes for ballasts of bulb fixtures. 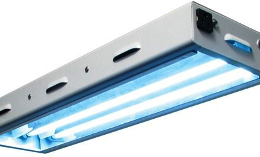 Usually VHO light ballasts need to be changed every 6 months or so, but HO fixtures in most cases don’t need to be changed or lasts for several years. This means that the VHO bulbs and fixtures need more care and therefore more money put into them. But of course it might be worth it if you want really great plants and rich yields. Speaking of money, the VHO bulbs by themselves are pricier than HO bulbs. These differences in upfront costs can be attributed to the fact that the VHO bulbs are a bit newer technology as well as because they are higher in efficiency therefore harder to make. 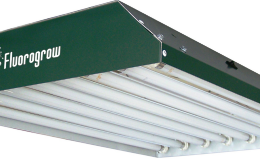 All in all the biggest decisions have to be made when choosing the efficiency and price range of your next grow light. 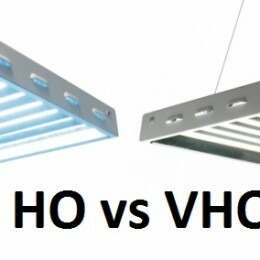 These HO and VHO lights are pretty similar because they both are T5 lights, so you need to figure out if you need super efficient light and you can pay more for your grow setup, or you will be fine with normal but not in any way low efficiency lights that are cheaper. One word of advice though, when researching these lights make sure you keep up with these abbreviations, because HO bulbs are not compatible with VHO fixtures and vice versa. Glad that you found the article helpful! I have yet to try out the LED corn bulbs, but by the looks of them and from what I have read online, they are pretty good as plant grow lights. That many lamps, be it T5 or LED ones, definitely sounds like an investment, but if you are serious about growing plants in your greenhouse, that I would say go for it. 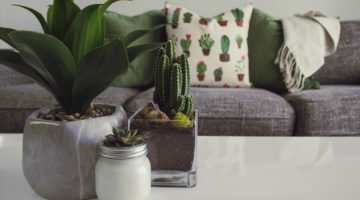 Just find the type of lamps that best suit your needs and the plants that you will be growing. Ben you mention that HO bulbs are not compatible with VHO fixtures. I blew a ballast on a VHO and when replacing I noticed the ballast was rated for both. and many other bulbs too. Yes, there are some ballasts that are compatible with many different types of bulbs, but generally, HO ballasts aren’t meant to work with VHO bulbs and vice-versa. So where can I purchase VHO fixtures, and bulbs? Check Amazon or your local hardware store. Why do ballasts break down over time? Most common reasons why ballasts break down over time are the improper wiring or the ballast’s incorrect position in the fluorescent unit, which causes the ballast to overheat and fail.